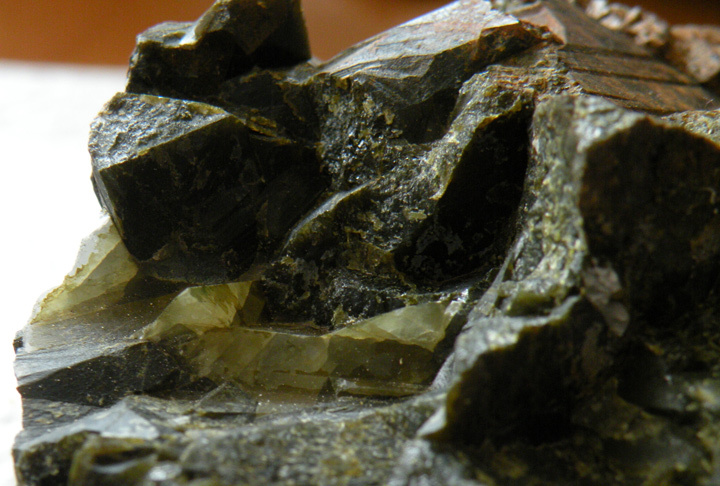 The dark green colour would suggest Vesuvianite. 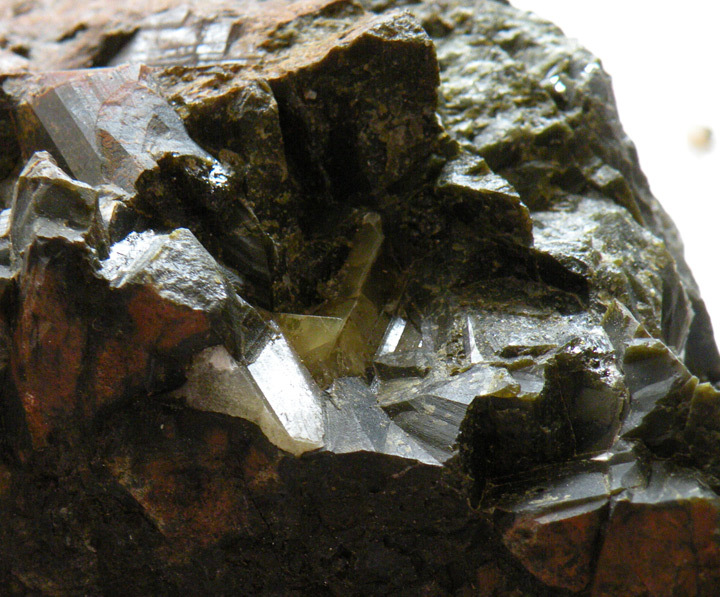 If it is the very pale greenish mineral that you want to identify, it looks like a Calcite or Quartz cast of the Vesuiviante crystals. Have you done a hardness test on it?